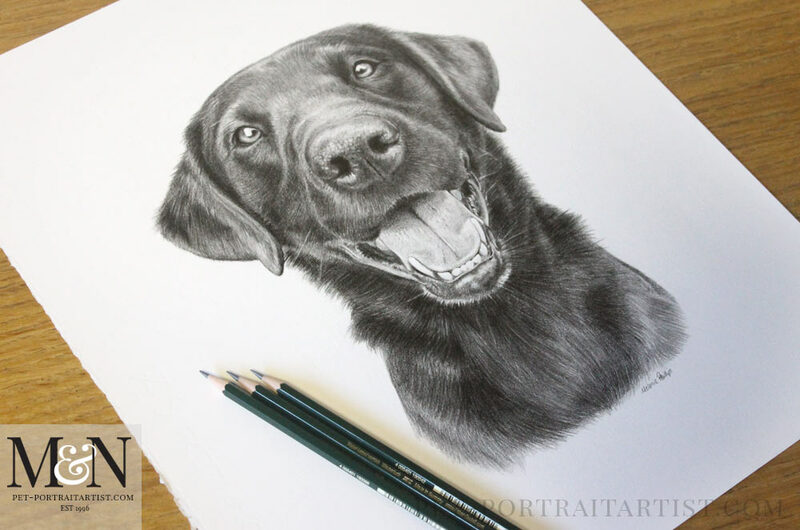 Welcome to my latest Black Labrador pet portraits! This is Iggy and he was traditionally hand drawn by myself (Melanie Phillips). Suzanna commissioned a 16 x 12 size as a birthday surprise. however we decided that the portrait should be 15 x 13 inches to work with Iggy’s shape. Iggy is a gorgeous Black Labrador and Suzanna was very happy to do a few photoshoots of Iggy for the portrait. She kept snapping away until she found the perfect photo of him that captured his personality and character really well. He looks so happy in the drawing, I think we can all imagine how lovely he is. 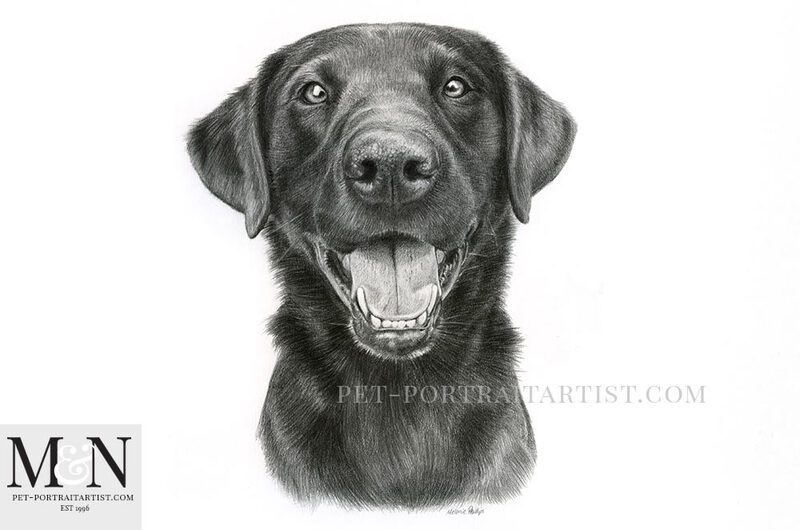 Suzanna emailed when she saw the final scan and photos of the drawing and I have added it below for everyone to read. I loved Iggy’s reaction…..
Wow, that is stunning Melanie. I cannot wait to see it in real life!! Definitely looks like Iggy staring back at me, I tried to hold it up to him to compare but he started licking my phone! Here are a few photos of Iggy’s drawing on my plan chest. I always take photos of the drawings with my pencils to help show scale. Also I like to show these to my clients with the final scan. I feel that my drawings always are much better represented this way. Scans are great but the photos have a much more natural feel. 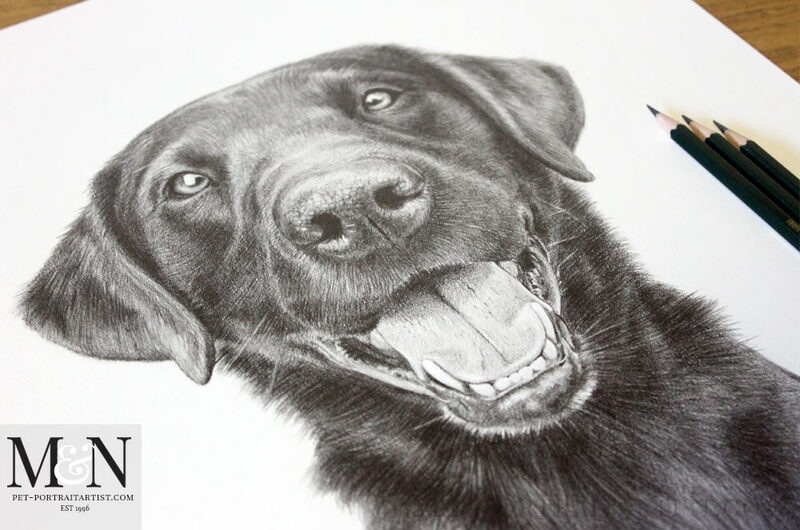 The drawing will be framed by Suzanna and her family so I’m looking forward to seeing a photo when its completed. 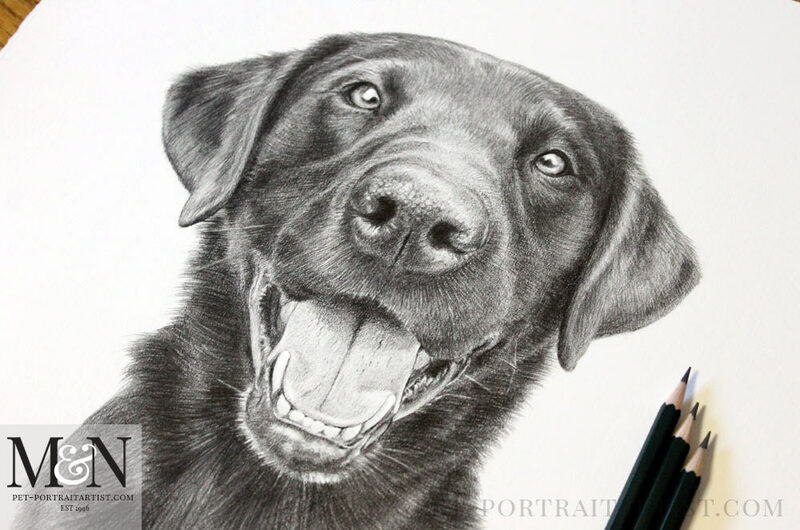 I hope that the drawing of Iggy is a wonderful surprise for Suzanna’s husband on his special day! Finally, we hope that you have enjoyed viewing our Art Studio Blog and our Melanie’s Monthly News in June. Why not sign up to our Monthly newsletter accessible at the bottom of our website which comes out on the 1st of each month. Consequently this means, you can catch up on all of the portrait stories and news from our Art Studio! Please don’t forget to subscribe to our Youtube Channel too, share, like and follow our social media and you are more than welcome to comment below, we love hearing from our readers!